Mono is a one page responsive portfolio Joomla Template. It is perfect for any type of business like design agency, fashion, architecture, spa! It’s simple and lightweight template but have strong sections important to landing pages. Other than the minimalistic single page design, it also has a blog layout. 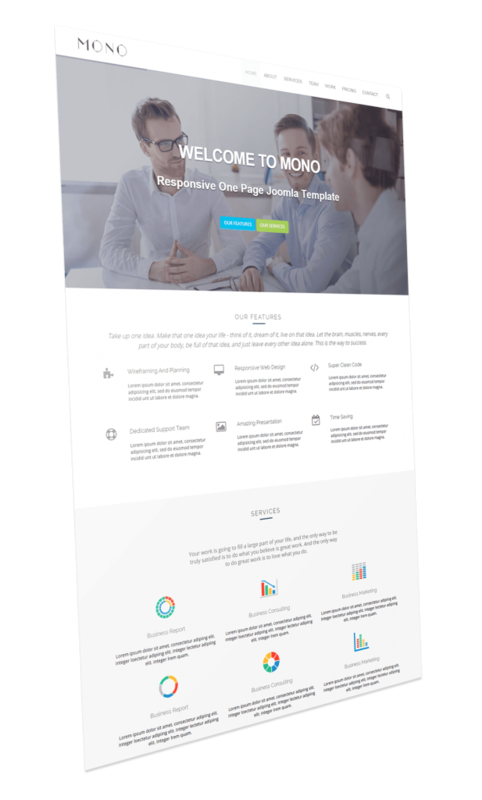 Mono One Page Joomla template is based on Warp 7 framework.